It's impossible to say where the engineering ends and the true beauty of our design begins. We obsess on solving the tiny issues, being unwilling to compromise in our quest to create a far superior product. Thousands of tiny decisions go into the development of Armstrong's designs. You may only do this once...let us be a part of your endeavor. You won't be disappointed. We know you have choices in the marketplace and sometimes it can get confusing. So many companies try to copy our precise design methodology but there's only one place to get an Armstrong Building. Armstrong Steel Buildings are not made on an assembly line. Each building is designed by a small, handpicked team of designers. They are extremely close, focused and committed to the same goals. Excellence, Ease, & Simplicity. We want your building to go up intuitively. Just the way you'd expect. There is a tremendous amount of craftsmanship that goes into each of our buildings. Each connection in our buildings is hand detailed, precision engineered, and triple checked. The painstaking work that goes into each building we make is obvious when it arrives onsite and goes together seamlessly, unlike any other building on the market. 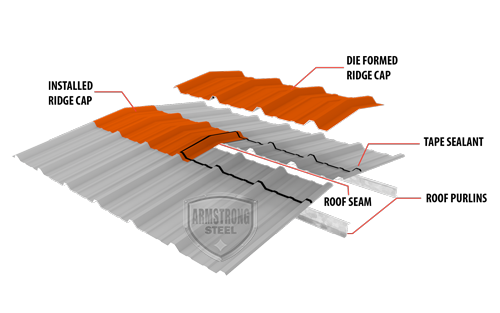 Armstrong has a 35-year rust through perforation warranty on the roof. Our roof material yield is 80,000 PSI, 26 gauge steel. Also available in 24 gauge. The competition often has a 20 year rust through perforation warranty and some use 29 gauge steel. Armstrong's long life fasteners have a lifetime warranty. No rusting, no oxidation and always remain shiny. Armstrong provides neoprene washers which prevent over-drilling of the fasteners. Over drilling can tear the sheeting and cause leaks. Also, our fasteners come in painted colors to match should you elect to go with a colored roof. The competition often times opts to cut corners and go with zinc fasteners. Zinc fasteners rust. Cadmium plated fasteners are also a popular choice in cut rate buildings. Cadmium plated fasteners do not rust but do oxidize leaving black streaks down the side of your building. Armstrong goes above and beyond the industry standard and provides neoprene washers with your wall screws. Without something as simple as neoprene washers, accidental overdrilling can lead to the sheeting tearing which can cause leaks, crack the paint, and lead to rust. 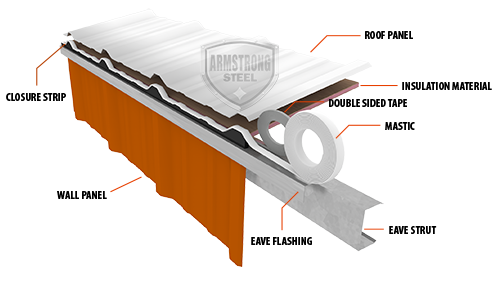 Armstrong Steel's roofing system takes advantage of a purlin bearing rib [PBR] roof panel system which provide for a full overlap of the corrugation. Other buildings use an "R" panel system which only overlaps 1/3 of the way into the corrugation, lessening strength in the overlap and leads to a higher potential of leakage. Armstrong goes the extra mile by providing 1" double beaded mastic tape for application where the sheets overlap vertically as well as where the sheeting overlaps side by side to prevent leaks. When the screw is drilled into the sheeting, it will hit the mastic creating a seal on the screw completely preventing leaks. Other buildings use 3/8" mastic tape on the side and vertical overlaps and neglect to provide a doubled beaded lock. This more narrow mastic serves to save the building provider money but leads to leaks when a screw misses the narrow mastic, less than half the width of Armstrong's. Armstrong provides a 40 year rust through perforation warranty - an industry first! Other buildings use inferior paint coatings and offer only 10 or 20 year warranties. Another effort to cut corners, provide a cheaper building, and increase their profit margins. Armstrong's buildings come standard with PRE-GALVANIZED purlins, girts, and door jambs. Armstrong's pre-galvanization protects against red rust during and after building construction. Galvanization extends the life and appearance of your steel building, features lower maintenance costs, and results in a cleaner brighter product. Other buildings use a red oxide primer which encourages rust and corrosion. Why do they use red primer? It matches and hides rust. NO DO NOT base your decision on price alone. NO Cheaper is NOT better. NO DO NOT cut corners on your building system! The cheapest buildings wind up being the most expensive! When holes don't line up and parts are missing, you or your hired crew will be stuck accruing significant costs trying to rectify the decision you made to save a few thousand dollars. Steel Building System design inefficiencies and missing parts are quite often the leading factor of on site cost increases. At Armstrong Steel, we ensure state of the art technologies are in use to ensure each piece of your building is barcoded, scanned, and triple checked before it leaves the plant. 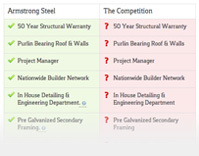 The Building Experts at Armstrong Steel Building Systems are ready to guide you through the building process and can answer all the questions you may have. Our detailing & engineering department has distinguished itself in the industry by providing timely and quality design and detailed engineering services. These guys do the heavy lifting with respect to our product design & development. With over 150+ years of combined experience, they excel in designing stunning building systems that are easy to erect and drafting easy to read blueprints & plans. They develop connection calculations & fully detailed approval, permit, construction, and shop drawings in house at our corporate headquarters. They're aces at ensuring tight deadlines are met and phases are completed as planned. They've got an eye for design and they ensure we're all speaking the same language when that building of yours arrives on site. 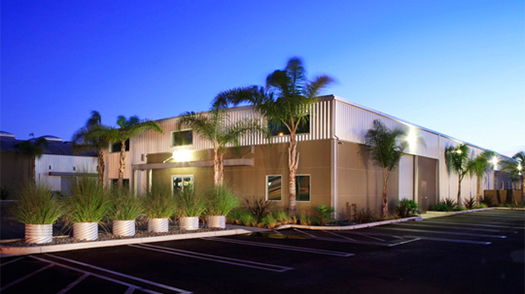 To get started on your steel building project, contact the experts at Armstrong Steel Building Systems. Lock in Your Steel Price!